"Dr. Garrido is an extremely professional and caring physician. Dr. Garrido is always friendly and concerned for the well-being of his patients - He is a great doctor!" "I really felt like he cared about my health and my feelings"
"Dr. Garrido is a caring wonderful doctor. Delivered my son 27 years ago - saved his life actually, then then (delivered my second son perfectly) won't trust anyone else with my womens health issues. He's the best"
"I have been seeing Dr. Garrido for approximately 24 years and told him he is not allowed to retire." "dr garrido was attentive and caring and easy to talk to"
"Dr. Garrido is extremely patient, informative, gentle and response to my questions. excellent bedside manner!" "Excellent care provided by doctor, as always. That's why I put up with long delays in appointment times"
"She was very very nice and friendly." "Dr. Garrido is very competent, professional and kind. " "Wonderful, kind, compassionate, gentle, informative, helpful GYN - Been his pt. for MANY years. KP Excellent dr.! #1. The best! #9. Love him! #10. Wonderful dr.! " "I was recommended to Dr. Garrido by a friend, and I have since recommended 2 friends to him. He is very kind, thorough and patient. He explains everything very well and does not rush me." "Dr. Garrido is THE BEST!" "Dr. Garrido is a caring and knowledgeable doctor. He takes the time to really understand his patient's issues and does a great job explaining solutions. There should be more doctors like him,"
"I was late for my appointment and Dr Garrido and his assistant worked through their lunch to see me. I thought this went above and beyond any other Drs office I have been at." "I normally see de Rosenberg but he wasn't available. I was very happy with de Garrido"
"I have already recommended Dr. Garrido to my friends and family. My daughter is a patient as well." "Dr. Garrido has a very caring personality and is very thorough. I am very impressed with him and would not hesitate to recommend him to others." "Dr. Angelo Garrido is an exceptional physician. I highly recommend his care to others." "I am always very impressed with how much care Dr. Garrido takes in reviewing my records and discussing treatments. He explains any questions that I may have extremely well and is concerned about my total well- being. I have trouble with recurrent UTI's and had been seeing a urologist without any improvement in my condition. Dr. Garrido came up with a plan of action that has worked very well." "As long as Dr. Garrido is with the practice, I will be a patient." "Dr. Garrido is the best. He is compassionate and understanding and knowledgable." 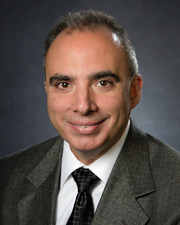 "Dr. Garrido is the consummate professional and one of the most pleasant doctors I've ever had the pleasure of seeing. I have recommended him to my daughter and friends." "Dr. Garrido is fantastic! I would recommend him to anyone!" "Dr. Garrido is a wonderful doctor and person. He took the time to review my blood test report with more concern than my primary care doctor. He has always impressed me with his concern and thoroughness. He is my favorite doctor." "definitely will recommend dr. Angelo he was the best"
"Dr. Garrido is the most caring and thorough doctor I know." "Dr. Garrido made me feel like I had his undivided attention. He was fully present during my entire interaction with him." "Dr Garrido took a lot of time to discuss all issues I was having and listened to all of my concerns. Did not feel rushed at all." "Dr. Garrido is patient, kind, respectful, and detailed in explanations." "Dr Garrido is professional, knowledgeable, and caring. he is an outstanding member of your team and I have the greatest confidence in him and his staff." "the doctor is amazing he was courteous knowledgeable just exceptional so professional and wonderful"
"I have high confidence in Dr. Garrido. he is attentive, thorough, communicates well and it is extremely easy to talk to him about my concerns." "I felt very at ease with the doctor. He took the time to discuss my concerns and made helpful suggestions. He truly cared. I cannot say enough about his demeanor. His knowledge and understanding is very impressive." "I have been with Dr. Garrido over 25 years and have recommended him to others. He is an excellent doctor." "I have been a patient of Dr. Garrido's for over 25 yrs. and I would give him the highest rating plus more! I have always had the utmost confidence in him and his expertise is of the highest quality. His compassion and dedication are apparent at every visit." "I was very impressed with Dr. Garrido. It's been years since I had a physician who speaks clearly and kindly with patients. He was very "present" and I felt that he was genuinely concerned and involved in my care." "dr Garrido was great even for me being a first time patient, friendly knowledgeable he even called me after my appointment to reiterate something we discussed"
"Dr Garrido is a great doctor." "I love Dr. Garrido, he has been an excellent doctor and I look forward to many years with him." "Love Dr Garrido, my daughter is a new patient and she hopes he never retires!" "I have been using Dr Garriido for over 30 years. You won't find a more caring , knowledgeable doctor! I have recommended him to many people & will continue too! Northwell is lucky to have him as one of their doctors!" "Have been seen by Dr. Garrido for years. He's wonderful!" "I have been seeing Dr. Garrido for years, and highly recommend him! He is thoughtful, kind, and well trusted." "Dr. was attentive and spent appropriate time with me." "no problems with dr. garrido"
"This was just an annual check-up. No problems, meds or worries." "Dr Garrido is an excellent doctor." "I am very impressed with how Dr. Garrido takes the time to talk about your medical issues and what he thinks is the best course of action. He also looks at the whole picture, not just his specialty, and decides what is best for you. He is very informative and caring." "I have already recommended Dr. Garrido to 3 friends. He was excellent. I never felt rushed or that he was thinking about the next patient or the time clock. He explained everything to me and answered all my questions." "This was a well care visit. I had no concerns or medical issues. Thank God." "have already recommended to two other women." "Dr. Garrido is easy to talk to, genuinely interested, and willing to spend time." "Really enjoy the care I receive with Dr. Garrido and staff." "Dr. Garrido is excellent. His manner is calming. I totally trust his ability." "dr. garrido has a great listening ear he knows his patients and he explains everything and hes very cautious and looks out for me the patients best interest. he's the BEST.....always a class act. he knows his stuff." "This was my 1st time seeing Dr. Garrido and he was wonderful. As is each of the drs. I've seen in the practice." "Dr. Garrido, is professional and knowledgable. I feel confident about the care I have been receiving from him, over the years." "Dr. Garrido has been my OB/GYN for 25 years. He shows great concern for my well-being. I travel over 50 miles round trip for appointments because I trust him and know that he is very pro-active when it comes to my health. Over the years he has diagnosed my high blood pressure and sent me to a specialist who found that I had an esophageal ulcer. He is a very kind man and he saw me through three pregnancies, one very scary delivery, and a five plus week hospitalization for preterm labor with my youngest two children." "please read the previous commentary. Dr Garrido is a fantastic OBGYN." "I have been seeing Dr. Garrido for over 20 yrs. and will continue to see him. I have the utmost confidence in him regarding my health care." "Very patient, very caring doctor. I would love to continue seeing him." "I've been seeing Dr. Garrido for 8 years and have been very satisfied. I've recommended family & friends to him." "Doctor spent enough time w me and did not keep me waiting. Always have confidence in his expertise." "Dr. Garrido is an excellent GYN. he takes the time to explain everything to me and always treat me with respect and kindness." "Dr. G. relates to patients in a warm, yet professional manner and communicates at the patient's level. Provides more than adequate information to allow informed decisions." "Have used this dr. for years highly recommend to friends & family." "I've been a patient of this medical practice for many years and will continue to see them." "there was no explanation he needed to give me about my condition, I had come only for a routine visit"
"Dr. Garrido is extremely knowledgeable, has wonderful 'bedside manner,' profoundly caring & I would 100% recommend him." "I have been seeing this Dr. for 20+ yrs, and for more than 15 yrs have not lived near the office but continue to see this Dr. as I am very happy, familiar and comfortable with their service." "the above NA on some quesions"
"I can not say enough good things about Dr Garrido. he is an excellent Doctor !" "Dr Garrido is kind and compassionate concerned about his pts.H e follows up with pt and gives clear information and instructions." "The most caring & considerate physician that I've ever had the good fortune of knowing! You're VERY lucky to have him!" "Dr Garrido is a wonderful person and physician." "Dr. Garrido has been my doctor for approximately 18 years. He is extremely professional and competent. I'd highly recommend him to anyone." "I trust Dr. Garrido 100%." "Dr. Garrido is just the best in all categories - I wouldn't change ever!" "I have been seeing Dr. Garrido for over 20 years and he just keeps getting better and better. He is thorough and kind and takes nothing for granted. His referrals are equally skilled and thorough. I have nothing but wonderful praise for Dr. Garrido and the specialists to whom he has referred me." "I have been recommending Dr. Garrido for 20 years." "Dr Garrido has been treating me for many years. He is very knowledgeable &. I have total trust in him, when he tells me something. He is always very honest & kind. I have recommended him to my friends." "Dr. Garrido is so good and thorough that I wish he could be my PCP." "I am glad I found a very good doctor like Angelo Garrido." "I've been using Dr. Garrido for 25 years. I well never see another OB/GYN unless he retires." "Dr Garrido is very caring and I feel very confident in his judgement"
"Dr. Garrido is the best provider I have ever had. I can not say enough about his kind, professional and caring mannerisms. It will be sad if he ever leaves!ð¢ð¢"
"I have already recommended them to quite a few people." "Dr. Garrido is a very patient and understanding man. I have lots of confidence in him." "I have my daughter now seeing him - excellent with young girls (20)." "I have been a patient of Dr. Garrido for many years. He always makes you feel as comfortable as possible being examined by a GYN. He is easy to talk to and never makes you feel rushed." "Doctor is very thorough and very pleasant"
"This was my first visit and I was very pleased with Dr. Garrido's professionalism, concern and care." "For over 17 years Dr. Garrido has been an outstanding healthcare provider. I am fortunate to be in his care." "Dr. Garrido has always made himself extremely approachable -"
"Garrido has been my doctor since 1994 very nice doctor." "Very good experience and no pain!!" "Overall I was completely satisfied with this provider. Glad that I switched my old OBGYN location to this place." "I usually see Dr. Cafarro but am thinking of seeing Dr. Garrido since I no longer need an OBGYN just a GYN." "No time to sit and speak with doctor after exam." "Dr. Garrido and staff are very nice people -"
"Awesome, patient, understanding, easy to talk to." "Dr. Garrido is very professional and caring, sincere & honest." "Dr. Garrido is one of the best doctors I've been to. He puts you at ease and is always a professional treating you w/respect." "The dr. was in and out very fast. Never asked if I had any questions. I felt very rushed so I never got to ask the questions I had."